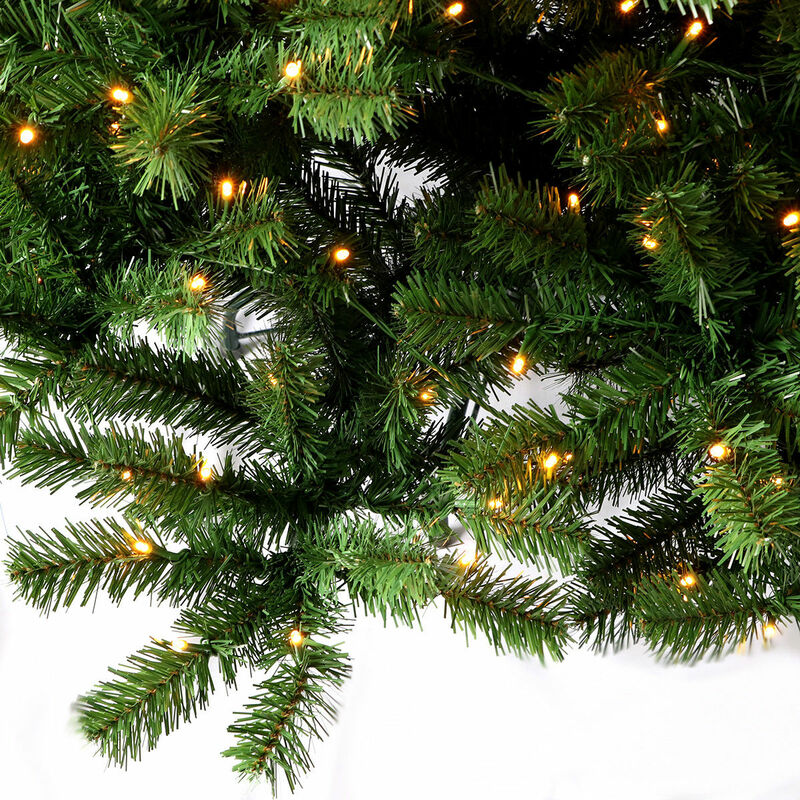 Bring a touch of holiday cheer to your home with our 7.5Ft Pre-lit Christmas Tree. Each tree comes with 1346 branch tips and 750 LED lights, which makes the tree looks real and thicker. A sturdy iron base is included to support the tree in a upright position and can be used for a long time. In addition the tree is made of fade and crush resistant PVC needles, appears fresh-cut. This tree is sure to let your Christmas full of merry and bright, do not hesitate to buy one!